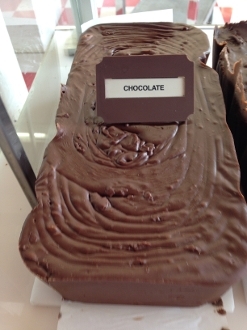 Fresh butter and cream fudge made right here in our Santa Barbara County facility. Ingredients: sugar, non-fat milk, butter, corn syrup, cream, partially hydrogenated vegetable oil. (may contain one or more of palm kernel, coconut, cottonseed, palm, soybean) with lecithin, brown sugar, natural and artificial flavors. Also contains sweet chocolate with lecithin, cocoa, chocolate liquor.